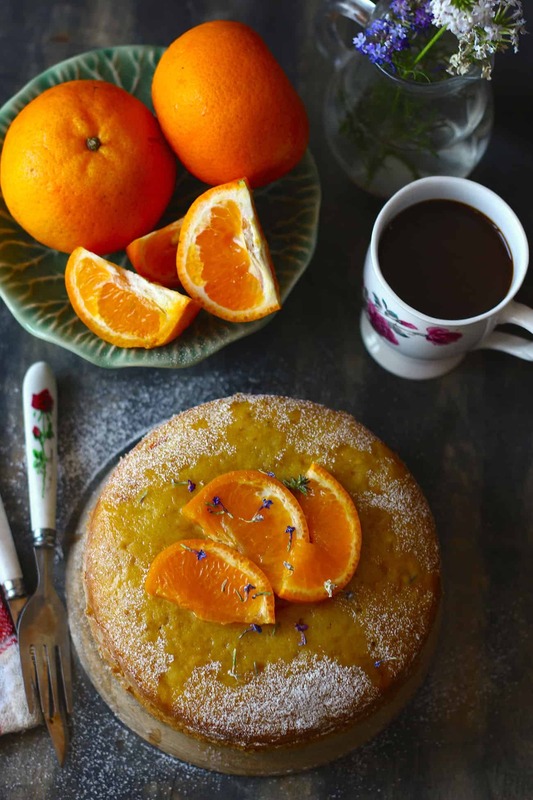 With some Kinnow Oranges in hand, the first and the obvious recipe choice was a Tea-Time Orange Cake. 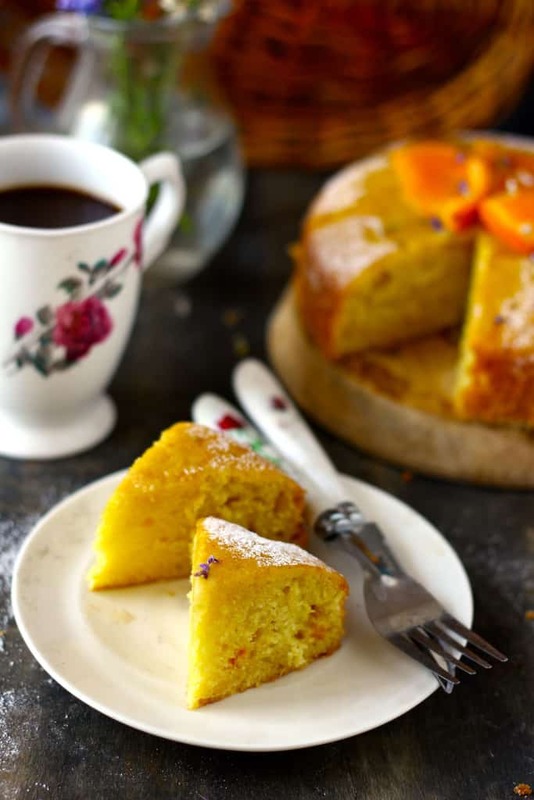 The tanginess of oranges, the subtle sweet notes and the bitterness of orange zest make this Orange Cake a perfect tea time treat. This Orange Cake is quite a versatile one. You could serve it just like that with a drizzle of fresh orange juice or on a fancy occasion deck it up in a homemade pastry creme layer. Either way, it tastes fantastic! Those who wonder about the whereabouts of Kinnow Oranges, it is a popular variety of local oranges from the Northern region of India. They are full of flavor and juice, perfect to use in a baking recipe like this one. Also, please bear with us on this picture heavy post but could not restrict me to one – two frames, the cake was a stunning beauty. There are few points in this Orange Cake Recipe where one need to be very careful to avoid D-I-S-A-S-T-E-R. One do not overmix the cake batter. Once everything moistened and combined well stop mixing, folding the cake batter for longer duration does not make it light and fluffy it does exactly the opposite – hardens the cake. Second, pour the orange juice while the cake is in the tin, let it sit in that position for 5 – 10 minutes before transferring to a cooling rack. Do not worry about the orange juice dripping out of the sides of the cake let it be rustic and look more tempting. 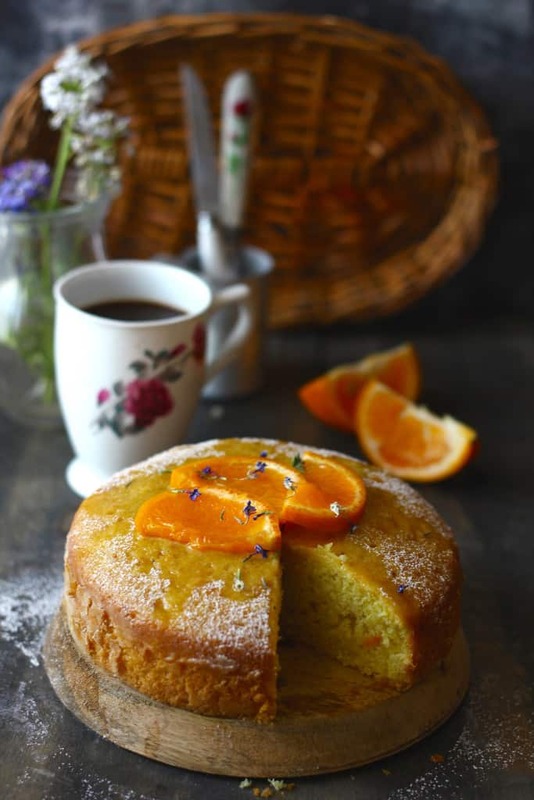 If you like this Tea-Time Orange Cake Recipe and looking for more such easy, fun dessert recipes then follow our Pinterest Board on desserts. We love doing fruit-based desserts, whether it is Chikoo Ka Halwa or Date – Apple Kheer, we are simply addicted to them. 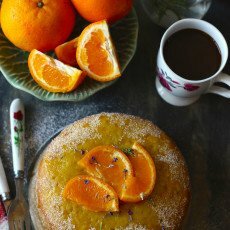 Tea-Time Orange Cake is the simplest of an orange cake recipe. 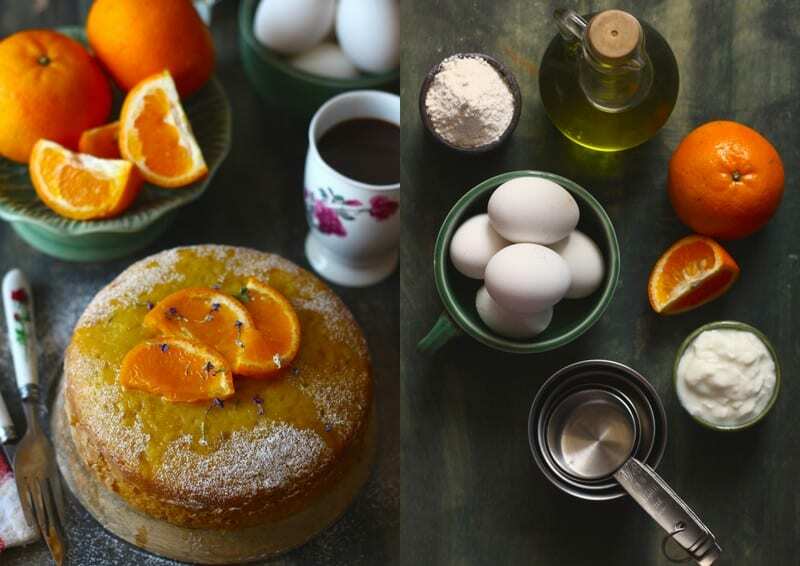 Find how to make a delicious orange cake in few simple steps. Preheat oven to 180 degree C. Grease an 8-inch round cake pan with butter and dust it with a tablespoon of flour. Set aside. Sift flour, baking powder, soda, salt in a large mixing bowl. Whisk together yogurt, olive oil, egg, juice, orange zest and vanilla extract in a bowl using hand mixer for 5 minutes at medium speed. Add sugar in the liquid mixture and whisk again for another 5 minutes at medium speed. In small batches add the liquid mixture into the dry ingredients. Fold the batter using a rubber spatula. make sure no flour streaks remain in the batter. Once the batter is nicely combines pour it into the prepared baking tin. Bake in the preheated oven for about 25 - 30 minutes or until a tester comes out clean. Meanwhile, poke small 2 - 3 tiny holes in the cake using a toothpick. Pour orange juice over the cake. Transfer the cake to a wire rack to cool down completely. 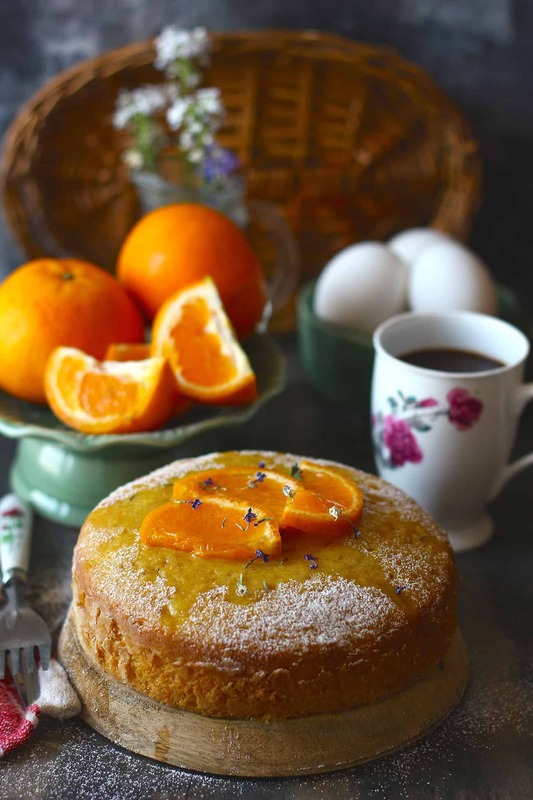 Serve Tea-Time Orange Cake with orange segments. Great…..very nice pics….i am feeling hungry……thanks for share….. This cake is beautiful. And I love the little floral decorations! This cake is so pretty, looks so light and fluffy! I love anything with orange in such a great flavour to use. Thanks for sharing. This is so adorable! Love the decorations–so sweet! 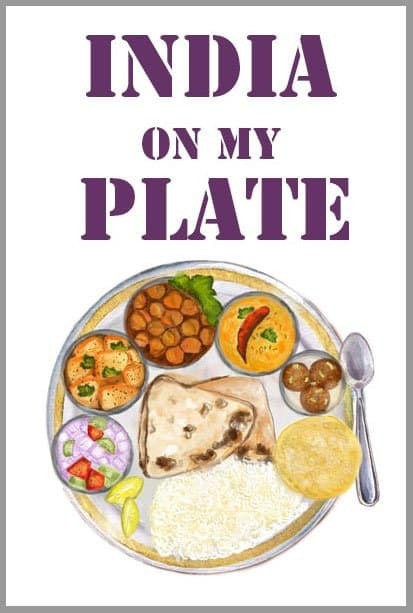 Can you twist this recipe to make it gluten free..can we use jowar or raji instead. Never tried making it gluten-free. But maybe we can experiment with oats flour. The measuring cups I have used are standard US ones.